The key to good business planning is implementation. After all, if your ideas stay on paper and you don't take action, you'll never launch your business. 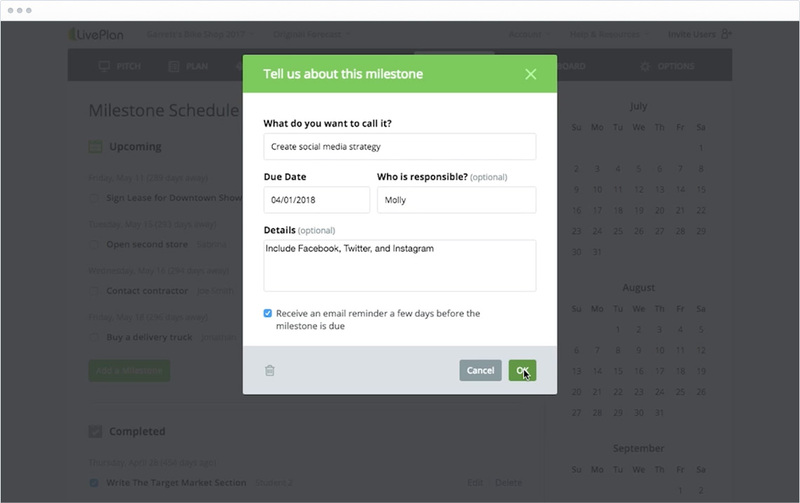 LivePlan helps translate your strategy into action and keeps you and your team on track. Schedule your key tasks and milestones in LivePlan and get email reminders when things are due. LivePlan isn't just for building your business plan-you can use it to help you manage your business better.